OEM means Original Equipment Manufacturer while Aftermarket means built to fit your vehicle by a third-party manufacturer. OEM usually comes at a slightly higher cost, but will assure you the same safety standards as when your vehicle was brand new. I mean – it’s the only thing between you and the open road. Questions? Give us a call! We’re happy to explain more! You have a crack in your windshield and it’s time to have it replaced. Would you like an OEM or an aftermarket windshield? Not sure? Well you came to the right place! You can be assured that our expert auto glass technicians will always give you the full story so you can walk away knowing exactly what is between you and the open road. 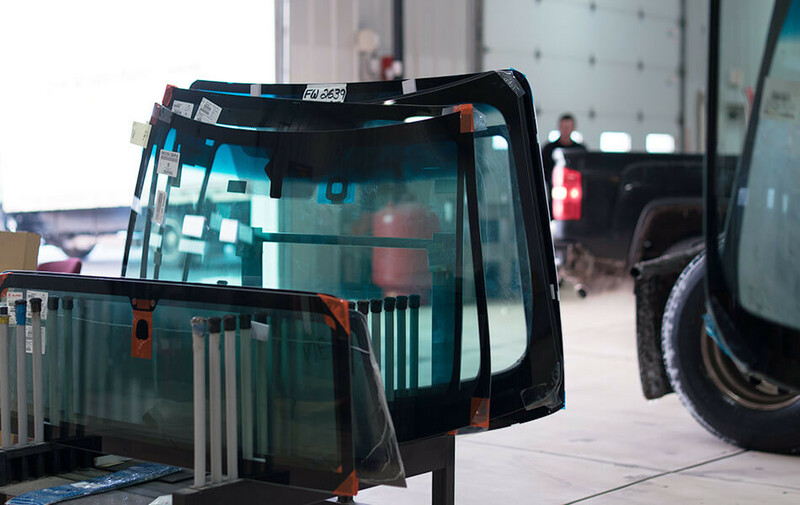 OEM stands for Original Equipment Manufacturer – which would mean that an OEM Windshield would be from the same manufacturer that originally had their glass installed in your vehicle when it rolled off the assembly line. This glass holds the same safety standards as your vehicle did when it was brand new. An Aftermarket Windshield is usually made from another manufacturer to fit your vehicle. This glass usually comes at a lower cost than OEM glass which could make sense for your auto glass needs – but there is a debate within our industry on whether Aftermarket glass is of the same quality as OEM glass. Yes, price may be a final say in what type of glass you want installed in your vehicle. We understand that this may be the case for your auto glass needs. To us, the most important thing in our business is you and your safety behind our installed glass. Although often forgotten, there is a very thin piece of glass between you and every bouncing rock or falling hail on the open road. We want to make sure that you and your family and friends are always safe, which is why we tend to lean towards OEM auto glass. This glass will always meet or exceed the original safety standards that were set in place when the vehicle’s safety rating was given. We’re not saying all Aftermarket glass is bad. As we said before, it may be perfect for your older car that may not have the same glass technology as your new 2018. It really comes down the the type of car you’re driving, how often you’re driving it, and your personal choice. At Quick-Set Auto Glass, we will always give you our full expert opinion when it comes to auto glass and are more than happy to install either glass for you. If you ever have questions about auto glass feel free to give us a call at (303) 452-5378. From all of us here at Quick-Set Auto Glass, drive safely out there!